HackerRank Tests and interviews are conducted by your hiring company for specific coding and technical skills assessment in Candidates. These assessments primarily include Coding questions of varying complexity in different programming languages and diverse frameworks. However, depending on the requirements of the job, test setters may also include other types of Questions such as multiple-choice, diagramming, etc. to assess your knowledge in particular subjects. 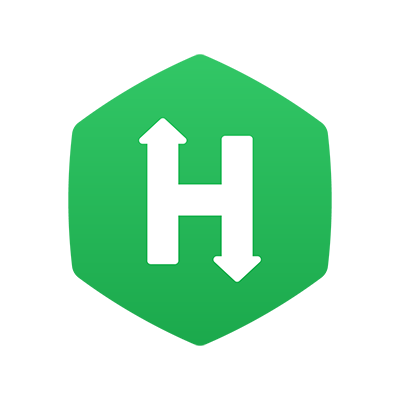 This article provides an overview of the different Question types supported by HackerRank. Questions for which you write programs or define logic in functions to produce the expected output. Coding Questions may have varying complexity levels and you may be expected to code in particular programming languages. An in-built code editor and compiler adapts itself to a chosen language, and test cases validate your code to produce the expected output. Questions on front-end web application development using frameworks such as Angular, React, Node.js or other custom frameworks. You are provided with a front-end project and access to an IDE where you can run and test your code in offline or online modes. This Question type is supported only in HackerRank Tests. Questions on back-end web application development using frameworks such as Node.js, Django, Ruby on Rails, Java Spring Boot or other custom frameworks. You are provided with a back-end project and access to an IDE to run and test your code in offline or online modes. Questions which require you to develop and test Java project files. Maven and JUnit frameworks are supported for building and testing these projects. Database programming Questions based on MySQL, Oracle, Microsoft SQL, or DB2. You are expected to write database queries pertaining to data storage, retrieval, and management. Typically, the test setter defines the data schema along with the problem statement. Questions which assess Linux programming skills. You are provided credentials to log in to a virtual Linux sandbox machine and remotely perform tasks such as installing packages, creating files and using tools like grep. Questions for which you have to choose one or more correct answers from a given list. Test setters may sometimes impose negative scores for wrong choices. Also referred to as "Fill-in-the-blanks". Questions where you are expected to complete a given sentence with correct words or phrases. Open-ended Questions to assess your unique perspective to a given topic. You are expected to write answers in plain text. Questions where you are expected to attach a file containing your answer. Diagramming Questions which you answer with class diagrams, structure diagrams, flowcharts or architectural diagrams. The Test interface provides the integrated draw.io tool to help you create these diagrams. Questions on android application development. Typically, you are provided with the required components like an Android manifest file and resources folder. You can write and compile an Android app right in the browser.